Price Per Bottle/Packet: Price varies according to which country you are shipping too. Quick Comment: A bit like marmite – some people like it while others dont. Where To Buy: Available from it’s own website. 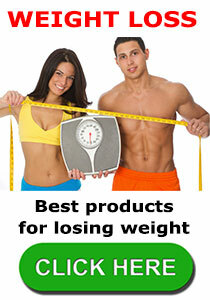 Thermoxyn weight management capsules are made in America by iForce Nutrition. The company also manufactures several other health and fitness supplements and, like Thermoxyn, all of them appear to be designed for, and marketed towards, bodybuilders and other active users rather than people who are only interested in losing weight. Hundreds of fat burners, fat blockers and appetite suppressants tested we list the best of 2019. The official sales page fails to provide much information about how the product works, but above all else it is a thermogenic fat burner. 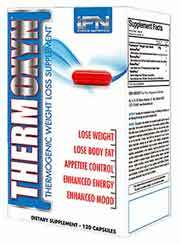 Thermogenic fat burners increase calorie expenditure and ensure the body commences the fat burning process sooner than normal. The fat burning process typically provides an energy boost, thanks to the availability of the extra calories released from the fat so the promise of “sustained energy” may hold true, but it will be necessary to take a look at the ingredients to judge the value of the other promises made for the product. The main ingredient is a proprietary blend that consists of four more proprietary blends; so it’s a case of blends within blends and no information at all about the quantities of individual ingredients. AdrenaPlex™: Caffeine anhydrous, acacia rigidula extract. ThermoPlex™: Citrus aurantium, rauwolfia serpentina extract. RetainPlex™: Lemon verbena extract, raspberry ketones. iForce Nutrition Thermoxyn MetaPlex™: Garcinia cambogia extract, green coffee bean extract, olea europae leaf extract. AdrenaPlex™ It’s hard to say what the specific focus of this blend is supposed to be, but caffeine is a powerful stimulant that provides extra energy and improves concentration abilities. It also helps to supress the appetite, can boost the metabolism, and encourage fat burning. Acacia rigidula is a less popular ingredient that is also alleged to boost the metabolism and may help break down fat cells (lipolysis). ThermoPlex™ With a name like “ThermoPlex” this must be the fat burning blend, but it leaves a lot to be desired. Citrus aurantium provides the stimulant synephrine, which has proven fat burning abilities and can also boost energy levels, but rauwolfia serpentine is not associated with fat burning so its presence is unlikely to offer anything of benefit and will probably only serve to dilute the synephrine content. RetainPlex™ It is possible the RetainPlex blend may be designed to minimise the likelihood that the weight loss process will result in loss of muscle tissue. Lemon verbena is known to have such capabilities, so it is a worthwhile inclusion, but the presence of raspberry ketones is harder to explain. Raspberry ketones can provide appetite suppression, but are probably more useful for providing fat burning and would, therefore, have been a more sensible choice for the ThermoPlex blend. iForce Nutrition Thermoxyn MetaPlex™ This also appears to be a fat burning blend and garcinia cambogia has an outstanding reputation as a fat burner, so if the quantity is sufficient the results should be good. Green coffee bean is also known to be a fat burner. Literally just unroasted coffee beans, the green beans contain a fat burning component called chlorogenic acid that is normally sacrificed during the coffee bean roasting process. However, olea europea will only serve to lessen the potential of the blend because it is not a fat burner. It does help to regulate glucose levels though, so it may offer other benefits. Days 1 – 2: 1 capsule before breakfast + 1 capsule before lunch. Day 3 onwards (if no tolerance issues arise): 2 capsules before breakfast + 2 capsules before lunch. A space of at least 4 hours should be left between doses and capsules should never be taken within 4 hours of bedtime. As with any other form of supplement, side effects may be a possibility because not everyone tolerates the same ingredients in the same way. Pregnant or nursing mothers are advised to seek medical advice prior to using the capsules. The same suggestion is made to people who are taking medication or have any existing health issues or concerns. Thermoxyn can be purchased from the manufacturer’s website. The price is $43.99 per (60 capsule) bottle. 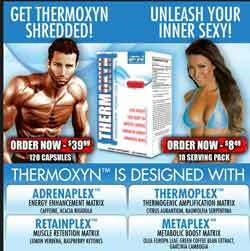 It is also possible to buy Thermoxyn from Amazon and the product is available via a number of independent online stores. Potential users also need to be aware Thermoxyn is sold without a money back guarantee. 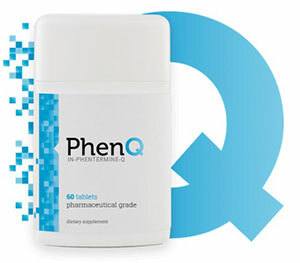 We highly recommend PhenQ – a powerful fat burner that can offer multiple benefits. This entry was posted in Fat Burners, Muscle & Strength and tagged Thermoxyn Canada, Thermoxyn Comments, Thermoxyn Negatives, Thermoxyn Side Effects by admin. Bookmark the permalink.